Have one of these at home and agree with the reviews, does taste much nicer than our straightforward tap water.... plus it fits in the fridge so definitely encourages us to drink more water ahead of soft drinks as I only usually go for them as they are ice cold! How many filters do come in the box (can't find this on the Amazon page). Just asking because they are seriously expensive. We have now switched to the Aqua Optima which are cheaper and I somehow prefer the taste of the water (completely subjective of course). 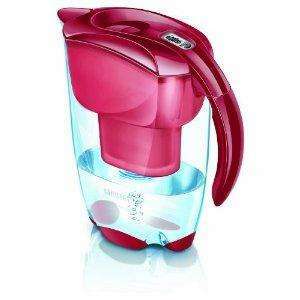 Nevertheless hot price for the Brita in any case! why so cold? great deal!